Port Talbot rental company Runtech has recently purchased 4 nearly new MAN TGX tractors, all fitted with wet gear, to add to their rental fleet. These MAN TopUsed used tractors have been delivered with Runtech’s highly visible livery and will soon be earning their keep on UK roads. From humble beginnings Runtech today has become the favoured business partner of many blue-chip companies throughout the area when a vehicle or transport solution is required. 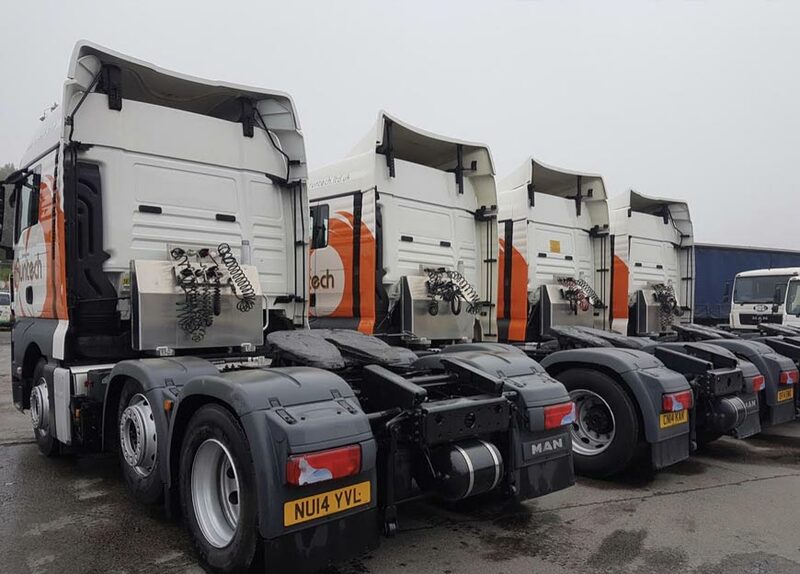 MAN TopUsed vehicles provide a great way of delivering great quality used trucks at economical prices, WG Davies has been a great supporter of the MAN TopUsed brand for many years now. Meeting the demands of heavy industry has allowed Runtech to establish a quality, professional service that everybody can benefit from; the business prides itself on providing the best vehicle hire, maintenance and haulage services to the public or business users across the UK.